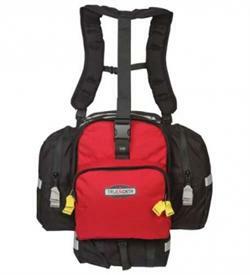 Designed by Hotshots, our mid-sized fire pack has capacity to carry extra gear for those long days in the field. Features fusee pockets, a fire shelter or SAR case with huge side pockets for water or accessories and a hydration reservoir pocket. Approved for use by the Cal Fire Personal Protective Equipment (PPE) Working Group and NFPA 1977 Certified.